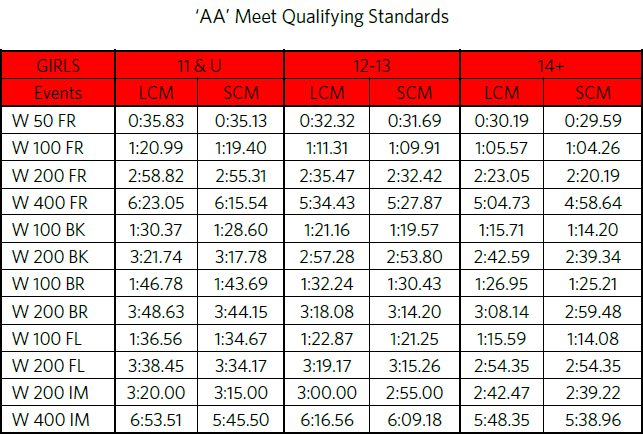 For the ‘AA’ meet, swimmers must have one qualifying time from the standards provided below. 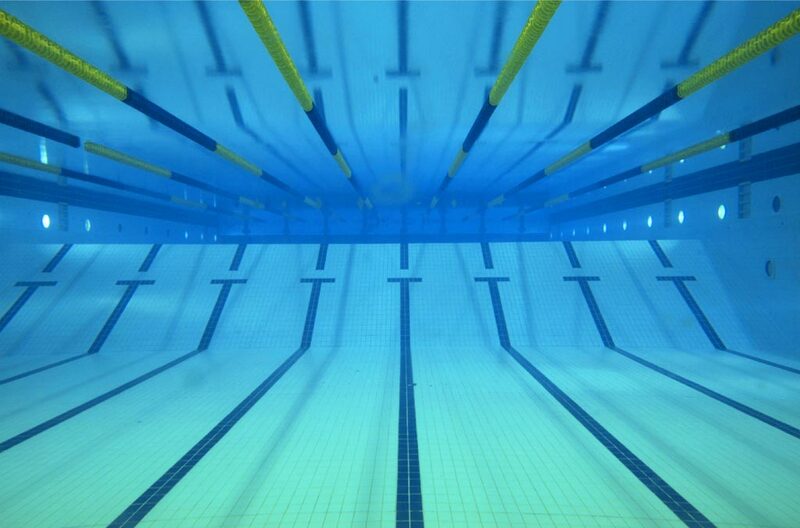 Once qualified, a swimmer is eligible to swim up to 6 events. Swimmers are permitted to swim more than 6 events provided they have the time standard in all entered events they enter. 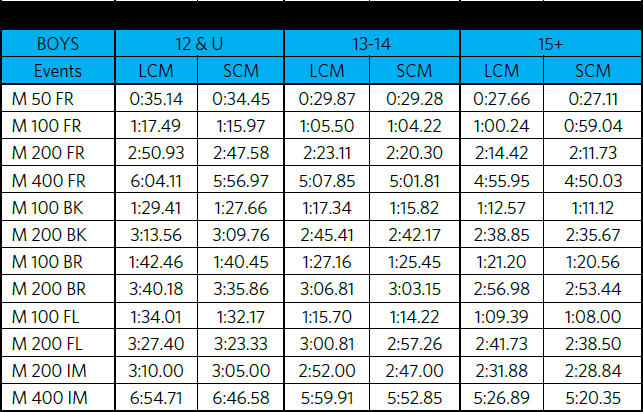 For the ‘A’ meet, swimmers must have met a 200 IM standard of 4:00.00, which can be achieved long course or short course. Swimmers are permitted to enter up to 6 events total. Swimmers that have a ‘AA’ meet qualifying are to be entered into the ‘AA’ portion of the meet. No NT times will be accepted for entry.